One of the biggest problems with leftovers is that not many like the idea of eating the same thing again in the next meal. A table of fussy eaters is common, who just won't not entertain the same dal or a curry recycled on the dinner table. "Every meal should be freshly made. Food is enjoyed best when there is variety in every meal," believes one of my dear friends who believes in the idea of gastronomic variety. But food wastage is a terrible idea, especially when there are millions who do not get food. Why not add a dash of creativity to your leftover meals, and turn them into spectacular preparations that are hard to turn down. Yet another in our 'cooking with leftovers' series, is the ultimate guide to using leftover rice to glory. Rice is quite a tricky ingredient. You let it sit in the refrigerator for too long and you'll have a clumpy rice cake. 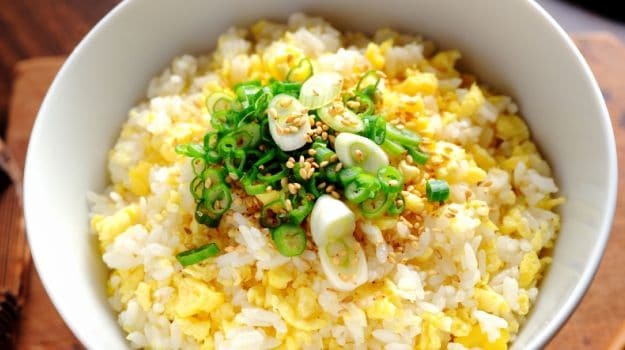 Interestingly, leftover rice, especially the plain, boiled version can be put to a range of uses. While I just like mixing it with lemon juice, achaar, chutney or some leftover dal, my roommate works wonders with leftover rice by cooking lemon rice, curd rice, tomato or tamarind rice in a jiffy. These are extremely easy to put together and require no Cordon Bleu cooking skills or fancy ingredients. South India enjoys a long-lasting, celebrated affair with rice. No meal in South India would ever pass muster without a generous helping of rice. If one has to learn how to put leftover rice to use, it is a good idea to ask a South Indian friend. One of my dear friends shared his mother's ingenious tact of using leftover rice in making idlis and even fried snacks. All you need, is to blend rice into a paste and use it in the batter while making idlis, dosas, crepes, pakoras, cutlets or pancakes. People in Karnataka can't get enough of akki roti. The flat roti-like bread is Karnataka's take on the usual chappati minus wheat flour cooked with rice flour and other flavourings instead. 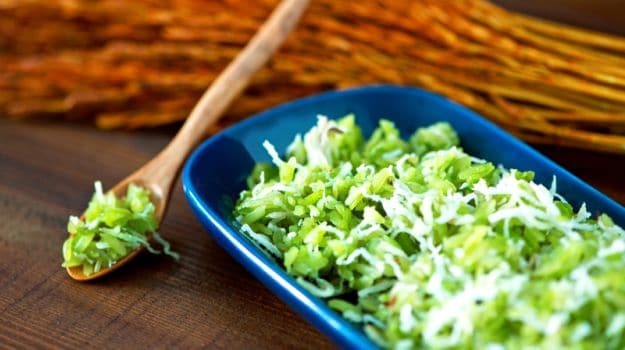 In order to incorporate cooked rice into the preparation, make a paste out of boiled rice, mix it with rice flour to make a dough and throw in some chopped onions, grated coconut, finely chopped coriander leaves. These are cooked like regular rotis with a drizzle of oil. 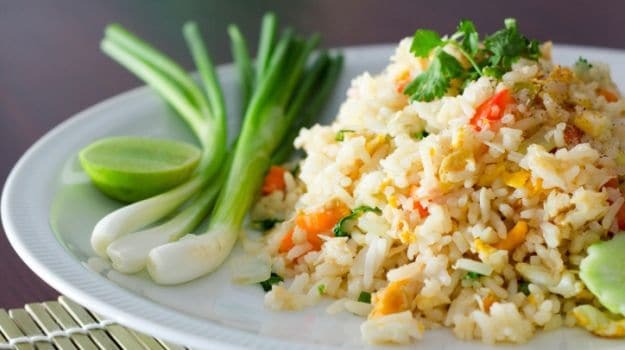 Those who aren't fond of cooking, can quickly work leftover rice into a delectable fried version. I usually add leftover curry in a wok with a bit of water, let it simmer and add rice into it. One option is to heat oil in a pan, add ingredients for tempering (cumin, saunf, mustard seeds) onions, garlic, ginger, tomatoes, chillies, salt, soy sauce - and sauté. Add rice, let it cook and serve. You can also add in eggs to arrive at egg fried rice. Leftover rice can easily be teamed with masalas, fried and stuffed in other veggies to be baked to perfection. 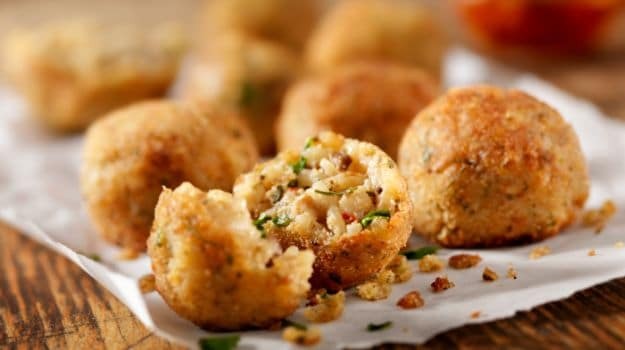 One of the best uses of leftover rice would be to replace sticky or Arborio rice in arancini. With experiments like these, not only will you wow your guests and family with your creativity but also put leftovers to use, curbing food wastage. Next comes one of my favourites - when you've got cooked rice left, why not make kheer out of it? Yes, not surprisingly, one of the easiest ways to re-use cooked rice is to use the goodness of milk, dunk in some nuts, cardamom and other friends and cook till it is nice, creamy and aromatic. Chitraana - South India's favourite, ready in just 20 minutes. Vaghrela Chawal - Straight from Gujarat comes this classic with an addition of onions, cardamom and cinnamon. Leftover Chicken Curry Pulao - This is what needs to be done with the leftover chicken and rice. Combine the two and that makes for a meal for two! Raw Mango Pulao - Cooked rice, raw mango pieces and spices come together to create this exquisite pulao. P.S: If you happen to have your own innovative way to cook up something sensational with leftover rice, share with us in the comment box below.